Fundamental to the success of many Internet companies, in particular information product based businesses, is the concept of the sales funnel. Many of the most well known Internet marketers established themselves in a niche and dominate by crafting a highly refined sales funnel process, guiding consumers through a tested and optimized channel of marketing and sales. The sales funnel begins by capturing the attention of prospects. Some prospects are convinced to become buyers, who purchase an entry level product, demonstrating that they have a need for what is on offer and are willing to invest money to solve their problem. The sales funnel continues to nurture the best customers, filtering out mismatches and refining the specific target customer, offering them more specialized products and services, often at higher prices. By the end of the process the funnel has identified the ultra-responsive customers who purchase everything on offer and experience the most value and satisfaction from every purchase made. It is from these ultra-responsive consumers that the majority of profits are made. In the following series I will introduce you to the sales funnel using simple language. I will teach you how to craft a sales funnel, including analysis of the front-end and back-end, and demonstrate why you must continuously test your funnel process to ensure long term success. I first heard of the sales funnel about two years ago as I began to study online marketing seriously. Before this time I had participated in many sales funnels, without realizing of course, by consuming products and services online that were sold to me via a sales funnel process. During my university days I signed up to an email newsletter called Double Your Dating, which proposed to teach any man how to meet and attract women. I can’t remember what first compelled me to search for dating advice, probably as a result of a rejection from a particular girl or a date gone bad, but it didn’t take long to come across David DeAngelo, the author and owner of the Double Your Dating Internet business. I would later find out that David DeAngelo is a pseudonym – not the author’s real name – but nonetheless I found his newsletter compelling reading. I recommend any guys reading this (or curious girls…) check out the newsletter if you want to some entertaining “education” about the female species. I didn’t realize it at the time, but when I first came across the Double Your Dating email newsletter I was presented with what I would later learn was known as a namesqueeze page (if you have don’t know what a namesqueeze or squeeze page is, read my introduction here). A year or so after first signing up to a newsletter that “squeezed” my name and email address, I learnt how fundamental the namesqueeze is to Internet marketing, which precipitated my introduction to list building – perhaps the most critical element of any Internet business. Back then I was a typical prospect for an information product business and I lapped up all the free information I could get, little realizing I was falling into the top of a sales funnel. For many months I read the dating newsletter, enjoyed the case studies, the testimonial stories from satisfied customers who had discovered how to meet and attract women thanks to the advice of within the Double Your Dating ebook (social proof in action!). Due to my interest in business I looked at the newsletter from the point of view of a prospect AND a marketer, and as a marketer I was blown away by how emotionally compelling the offer was. Here was a product that, based on testimonials, the sample materials and the sale propaganda, presented a “solution” to one of the most significant challenges men face – how to attract, date and sleep with women. It was genius, and I suspected Mr DeAngelo was raking in the profits (I’ve since learnt that it is a $20+ million dollar business). Eventually I was persuaded enough by the free newsletters that I purchased the Double Your Dating ebook for $27. I had just converted from a prospect into a customer and fallen a little further into the rabbit hole…err…sales funnel. Based on the free newsletter I had come to believe that by purchasing the ebook I would receive everything I needed to know about landing the women of my dreams. I read the book, found it as compelling and interesting as the newsletters, and then started to receive a different series of newsletters. Apparently when I had purchased the book my email address had found it’s way on to a new email list. This time it was the email list for people who had purchased the book. Now I received stories from other men who had purchased the book and had some success, but needed a little extra training to really improve their “game” with women. Conveniently enough, David DeAngelo had recorded a video series on CD of further training including interviews with “players” – guys who had tremendous success with all kinds of women – and real life interactions with women so we could watch the experts at work “live in the field“. For $97 I could add the videos to my training and truly become an expert with women. I didn’t buy any more of David DeAngelos products and months later unsubscribed from all the newsletters, but my sales funnel education process had only just begun. My interest in dating training was diverging (probably because I had a girlfriend at the time) and I no longer was as compelled by the Double Your Dating premise, but I still admired the sales process from a marketing point of view and began to investigate what other “dating trainers” offered. I found out that beyond the video series, it was also possible to attend live seminars and even, if you had the financial reserves to spend thousands on your dating education, take private coaching in small groups with a professional trainers. Some experts offer over the phone consultation and travel around the world presenting to groups of men and conduct “field work” at clubs, bars and bookshops. Although I didn’t purchase anything else from David DeAngelo, I certainly came to admire his sales process. I credit my experience with him as my very first motivation to endeavor to become an online Information marketer. It made so much sense to lead in with a quality free newsletter, then sell a book, then a more expensive product and so on. It made sense that people would be much more likely to buy after enjoying free materials, which demonstrated the expertise of the author and created credibility. It made sense that for those who become real customer evangelists, and in David DeAngelo’s case I assumed there were many rich and single lawyers and doctors and accountants and other working professionals, who would lap up everything they could that might help them finally realize a lifelong goal – the woman of their dreams – whether it would in fact help them or not. That is such an emotionally compelling offer. In more recent years I’ve gone on to study the exact sales process that Internet marketers like David DeAngelo implement. The term used to describe the process is called a “sales funnel” and it was clear to me that having a sales funnel was the way I wanted to go. In 2006 I joined a 12 month high-end Internet business coaching program led by Rich Schefren, which further cemented my devotion to a sales funnel focused Internet business model. As I have written about previously, going deep, which essentially means to create a sales funnel, is the key to long term success as your marketplace becomes increasingly competitive. The companies without a defined sales funnel suffer as they are unable to compete with companies that know what a customer is worth to them long term, thanks to refined metrics calculated at each point as a customer moves along the sales funnel. However before we can consider the metrics of a sales funnel we must understand the two critical components, the front-end and the back-end. In part two of this series on the Sales Funnel I will introduce you to the top of the funnel – the front-end. In part three we look at the back-end and in the final section I will discuss the specific advantages the sales funnel creates and how you can leverage these advantages to increase your profits and remain ahead of the competition. I just came acroos your blog. Reading your Funnel 1 the funny thing is thatI did exactly the same and spent the $27, and then realised all the rest. Among other things his ‘compelling system’ set me on the path to where I am now with my Internet Life. Recently I met Rich and have signed up for his 12 month program…. My zangworld site is offline right now as I had a really lousy hosting service and with being part of Rich’s program I am recrafting my whole structure. Great article Yaro. I completely agree that the sales funnel is a very important component of a good marketing strategy. Knowing what you want the sales funnel to look like eventually helps you make better marketing decisions, even if you still don’t have the components in place. Great stsrt to a “pillar article” series, Yaro. It’s amazing how many of us didn’t/don’t know these techniques and your example is easy to follow and a good illustration. BTW, as most know AGLOCO is one of the hottest and most controversial “new schemes” on line right now. I’m not against AGLOCO or a promoter of it, but gte this … thye have over 100,00 signed up … and haven’t produced a single product yet … does this strike anyone else as a candidate for the world’s largets “namesqueeze”? Yaro, looks like you’re setting up your sales funnel pretty good. Quality content, pillar articles, free newsletter. Can’t wait to see how you sell your book. A really superb article there, Yaro. In my opinion once a business starts analysing the sales funnel, it immediately moves from being reactive to proactive. Without proper planning – and maximising the efficiency of every single part of your business you can never expect to surpass your competitors. This is an excellent description of the sales funnel process. I’m especially pleased to see these great examples that illustrate how we all participate in sales funnels! Thanks for sharing your expert knowledge, Yaro. This is really weird; I read this article yesterday, and then also heard two other “Double Your Dating” references yesterday as a good list to be on to see newsletter marketing at its best. One of the other sources was from a CD in the PLF and wasn’t on a website. I asked my wife what she’d think if I subscribed to the newsletter and she wasn’t too keen on the idea. I had to explain that people kept mentioning it as a good bit of marketing. Hi George, Thanks for your comments and welcome to the Rich Schefren program, I hope you are enjoying it so far. I didn’t see you on my affiliate referrals so I guess you found out about Rich from another site? Hi David – Exactly! Previously I was thinking about launching one product and just seeing what happens. Now I’m looking at that product as a piece of my funnel and I can see a much bigger picture. 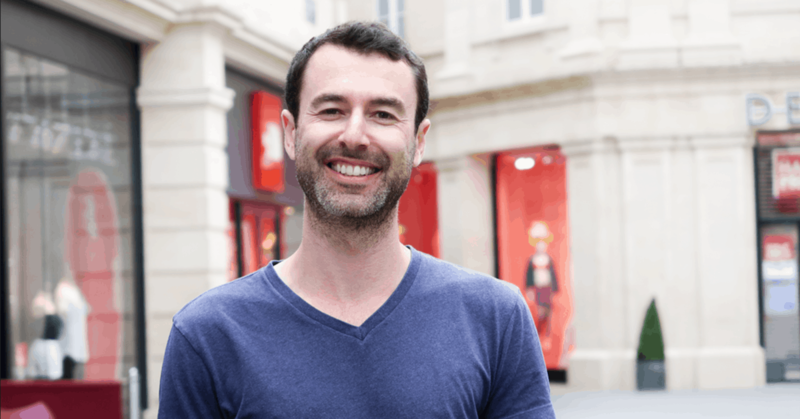 Rodger – True, and another thing I like about it, once set up and functioning, is you can focus on front end marketing know that your back end will automatically do the marketing for you and make you the big bucks once you get people into the front end. Hey Dave S – Personally I’m staying very far away from AGLOCO – it reeks of pyramid scheme and sounds like those old “we pay you for using our toolbar and watching ads while you surf” programs from the late nineties. Not something I want to get involved with and I’m dubious of any person who does promote it since they are only caught up in all the money they can make from it, which ultimately, if that’s your only motivation, is not cool in my book. Well spotted about the “pillar series” too – glad to see you are reading my newsletters. Luc – Thanks again, I appreciate your long time support. Jason – No problem, I’m happy you are finding my examples easy to follow – that’s definitely one of my goals. Lol Blaine! It must be a sign, but yes, I can see the dilemma you face with your wife. Good call for asking her first, I could see how explaining it was all for “marketing” purposes might have been difficult to justify after the fact. Those sales funnels can be quite irritating — with special promotions that give a certain, low price for a month and then increase it ten-fold, all later months. I didn’t read your blog during holidays, but I am quickly catching up. Thank you for sharing all of this information for free! 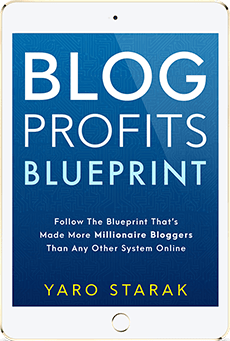 I finished reading your Blog Profits Blueprint Report and am in the process of reading your report about membership sites. Something similar happened to me when I subscribed to a blog for a year and finally bought that blogger’s books.